It was not easy to convince the conductor that there should be a captivating scenic action during the sacrosanct prelude to the First act of Parsifal. Also the choice of musical tempi means a lot to the instruction of singers and to Herheim's famous battery of stage decorations moving up and down, in and out of the stage during the drama. How has the collaboration with the conductor Daniele Gatti been? When I heard him conducting his first Parsifal in Rome (concert performance), I was somewhat surprised and startled: he was even slower than Toscanini - the first act alone lasted for well over two hours. Daniele was equally suspicious of my ideas, and for a while I was afraid that our different approaches wouldn’t be productive and that the collaboration wouldn’t work. But during the rehearsals in Bayreuth, we immediately began to communicate. Daniele saw that I felt the musical gestures totally intuitively, and that my direction corresponded with his interpretation of the score. And during the rehearsal process, I learned to understand his tempo choices and musical perspectives much better. Our collaboration turned out to be very productive, creative and we have great respect for each other. And the question of tempi? I still have some qualms about some of Daniele's choices of tempo and phrasing. But the tempo in itself isn’t always the determining factor. If the time frame is filled and the overall arc isn’t broken, the sound space doesn’t appear as slow. In this way, Maestro Gatti is a magician with the orchestra. And it has to be noted that it is a particular challenge to conduct at Bayreuth. Down in the half-enclosed orchestra pit, there’s quite a different sound to what reaches the hall. It’s sometimes evident that the singers are unable to hold the phrase as long as Daniele wants. But this is actually okay because of the overall tone and timbre he brings out, with an enormous range of colours and constant shifts - from extreme high tension to a complete lull - suddenly pulsing forward, and then with the sound almost dying out. This interaction is indescribably fascinating and beautiful. The conductor Hartmut Haenchen gave one of the world's fastest Parsifals in Paris, while Daniele Gatti is among the slowest. How does the conductor's choice of tempi affect your productions? The conductor's choice of tempi naturally has a great influence on me and my work with singers, light, video and stage technique. But, artistically, this has less to do with chronological time than with the temporal space that opens up. It has to do with the way this temporal space is filled, and thus with experienced time. People who attended Haenchen’s version of Parsifal and looked at their watches afterwards couldn’t believe that it had all gone so fast. Nevertheless, they felt that they had had a complete experience of Parsifal. And here in Bayreuth people often feel that time flies, even if the tempo is at times very slow and the performance accordingly long. 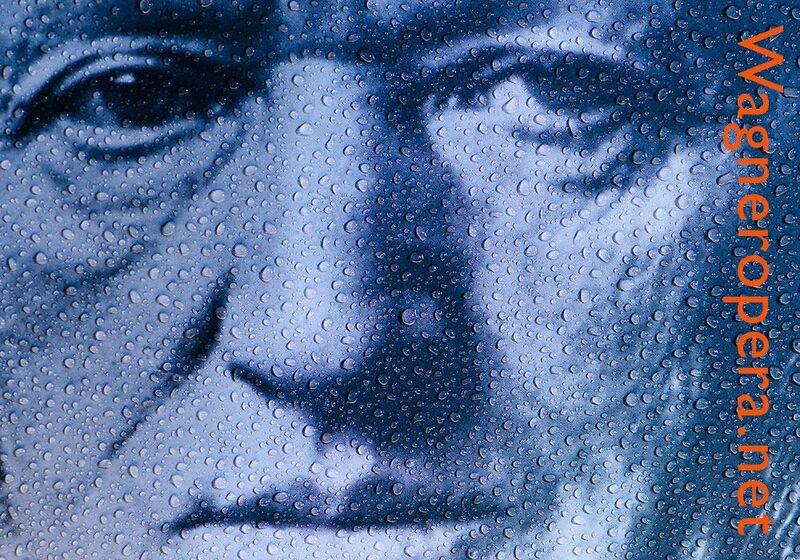 But in your Parsifal the sets move almost constantly: to and fro, in and out, up and down. In practical terms, how would a ‘fast’ Parsifal affect this staging? It wouldn’t be possible without making technical modifications, which of course is something that could be done. Gatti has gained nearly two minutes on the Prelude between last year and this year. I can see it in the singers' movements. It all has another temperature, it works just as well, but differently. Would a faster performance be better then? No. But not necessarily worse. No movement in the music is random. All notes have their own legitimacy and significance. Nor are the movements on stage random, everything has a purpose and is timed according to the music. In the beginning it was a challenge for the singers to lower the pulse to Gatti’s slow tempos without losing the tension of the moment and the situation. When the pace was moved up, the singers were almost terrified. What's happening? Why is he "running" off? They now missed the slow pace that they had difficulties getting used to in the first place. Everything is relative. Gatti was initially sceptical about the Prelude being staged, wasn’t he? Yes, he was worried that the stage would distract the audience from the music. 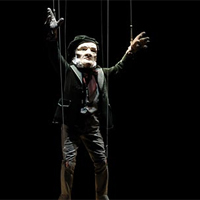 Richard Wagner as a puppet during the Prelude of Lohengrin Act 1 in Stefan Herheim's production at Staatsoper in Berlin. Herheim's staging of the Lohengrin Prelude lead to a bitter dispute between the conductor Daniel Barenboim and Herheim when Barenboim a couple of days before the premiere insisted that the curtain should be down during the Prelude. Do you understand that conductors would rather have this time for themselves? If this is what it’s about then, no, I don’t understand it at all! A Prelude is not “time for the conductor”, but the opening of the door to the world of the opera performed that evening. This opening can work strictly through the auditive senses, but since in Parsifal the significant motifs appear in the prelude, I find good reason to also open the door visually and allow more than one sense to be stimulated. So the Prelude is actually not pre-anything, but right in the middle of physical action? And when the curtain goes up after the Prelude, no one is listening to the music anymore, is that it? My God, when you create musical theatre it’s not about competing for attention but about working together so that the audience can see the work with their ears and hear it with their eyes. To be sure, an orchestral Prelude is a musical mood-setter for the evening’s performance. You come into the theatre from the stress of everyday life and need time for auditory and mental retuning, and so on. But as the most important motifs are often established in the Prelude, I see no reason not to also establish these scenically from the first note - as long as this strengthens the overall artistic integrity of the performance. I'm not saying that in principle the Prelude should always be staged. But if you have good reasons to portray the music in the prelude, it's just the way that it’s done that you can argue against. Gatti acknowledged this and was excited about the symbiosis the staging entered into with the music.